How To Create Content | Tips for Content Creation For Your Blog, YouTube Channel etc. Do you have difficulty coming up with content for your videos? Blog posts? How many times have you sat with your head in your hands or blankly at your computer screen hoping that inspiration will strike and an amazing idea will pop into your head? Believe me I have been there many times. In the past I have found myself starting umpteen posts and either half-finished them or ended up deleting them because they weren’t good enough. Read on and find out my ‘Keep It Stupid Simple’ tip! In order to be consistent we are told that we should create great and valuable content on a daily basis – be it for your blog, video (for your YouTube Channel) or audio’s. As we know that creating content which provides VALUE will get you leads and people into your business – but you need to know HOW to create content! I have heard time and time again from various people that they don’t know what to write about or create a video on. I agree it is harder for some people more than others – especially if you are new to creating content. Sometimes you will find that one type of media you will find easier than others. I have always found creating videos easier than writing blog posts – but only because I have been doing it a long time and I enjoy it! I always struggled with writing content with for my blog though – until I realised (doh!) that I could USE my videos on my blog as content! If you prefer writing then why not start there and then convert your written posts into audio’s, slide shows or videos later on? Really creating content for your blog , YouTube Channel or other Social Media platforms doesn’t need to be hard once you know what to do. 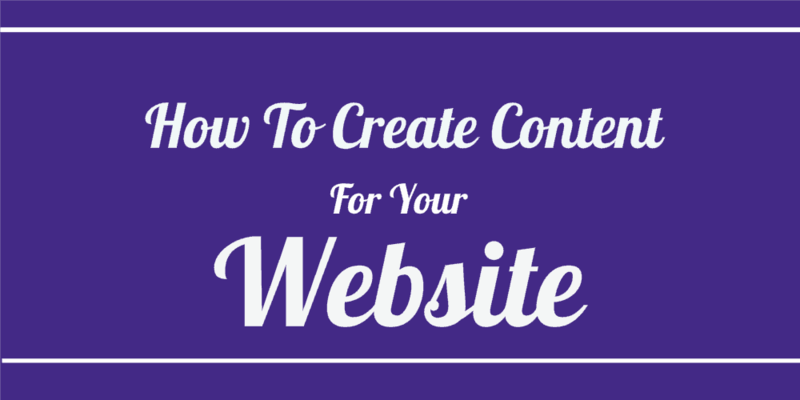 Follow this one awesome tip and you will be able to create great content every time! If you think about it – you are on a journey. You know more today than you did yesterday, you learnt something new, you overcame a problem. Somewhere, out there in Internet-land are many people searching for the thing that you learnt yesterday. Why do you think there are so many ‘how to’ videos and blog posts out there? Take what you have learned, apply it (evaluate it) and then teach it! This is how I found a few of my niches for my YouTube Channel. I started creating videos based on problems that I had to overcome . At that time I was creating Serif Webplus websites and I wanted to integrate a WordPress blog – so I have to find out how to do it. I had the philosophy that if I had an issue, and I could solve it then I was sure it would help other people too. There could potentially be thousands (maybe millions) of people looking for the same solution. I found that certain videos attracted more attention and views than others – so what do you think I did? I created more of them! I would have a look on YouTube to see if any videos had already been made, how good they were and read the comments to see what questions are being asked (because they may not be answered in the video). I would do a search on Google to see if I could find any written solutions on blogs or on specialist forums and convert them into video. I am a very visual person and so I prefer watching (and creating) videos to reading a written explanation. This information can also be converted into audio files, slide shows and also blog posts too (which means it can be used on different platforms). Write down what you have learned to do today, this week, this month – Do it now! Decide how you are going to present the information first. Is it easier to explain it or to show someone how to do it? Choose a method and TAKE ACTION! If you want more tips from me then please subscribe to my website, YouTube Channel or connect with me via one of the Social Media platforms!